← War on the living world? I have just listened to a pretty interesting report on BBC World Service (Copenhagen smart street lights) about an experiment, in which a Copenhagen suburb is being used as a test bed for various smart lighting technologies to see which one might be best at sensing whether there are people around, and then adjusting the light level to suit. The open-air laboratory called the Danish Outdoor Lighting Lab (DOLL) opened to the public exactly a month ago (18 Sept) in Albertslund. Imagine over 9 km of road with 280 lampposts that altogether have around 50 different light bulbs – the industry’s latest innovations – that dim if it is sunny or if there is no one around, brighten when people or cards pass by at night, or automatically alert the city when something isn’t working. Sensors that track traffic density, air quality, noise, weather conditions and UV radiation have also been fitted throughout the site to see what sort of environment the lights are operating in. Every lamp has been assigned a separate IP address so they can be monitored remotely and help work out which lights are making the biggest difference in terms of lowering costs and emissions. They can save up to 70% energy compared to the usual streetlights. So far, 25 companies have reserved space for their products to be tested in Albertslund. For example, Dutch firm Tvilight is testing street lamps that can adjust their brightness based on nearby movement. And the CopenHybrid – a mast that powers a street lamp by a combination of wind and solar energy – is being tested by the Technical University of Denmark. The BBC report concludes that we need to stop calling such innovative initiatives “experiments” and start referring them as “transition points” because they are starting the process of change. I believe that whether we call them experiments, pilots, schemes or tests, they need to be undertaken and shared. Fingers crossed most of them will be successful enough to be replicated. Good luck DOLL! The Lightning Lab is part of a long vision for Copenhagen: the city installs smart lights as part of its quest to become carbon-neutral by 2025. How? Lord Mayor Frank Jensen of Copenhagen explains in this interview. 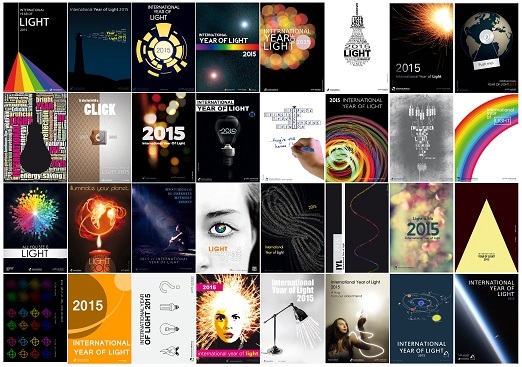 Also, on topic: The UN General Assembly has appointed 2015 as the Year of light. The purpose is to make the international society aware of the lighting technologies’ potential to create a sustainable future and provide solutions for global challenges within energy, education, agriculture and health. This entry was posted in Uncategorized and tagged Copenhagen, Danish Outdoor Lighting Lab, lighting technologies. Bookmark the permalink.